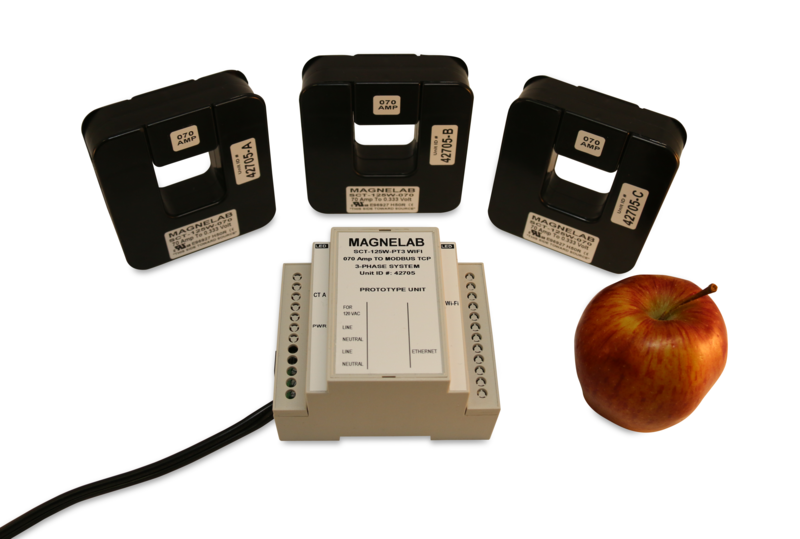 The SCT-125M series by Magnelab is a wireless to wireless AC current sensor system that completely eliminates the need for wires when using split core current transformers. It is a small split core wireless AC current sensor system ideal for simplifying installation on existing electrical wiring by snapping around the conductor without additional wires or connections. It transforms up to 800 amps of AC input current to RMS data output through a MODBUS WiFi TCP/IP. Each CT contains a radio frequency link powered by the measured current, which will link up with the Controller (PT Unit) for any current above 5 A. Contents include three self-powered AC Wireless split-core current sensors and one Controller (PT unit). The controller provides three MODBUS TCP/IP registers (accessible over WiFi) that correspond to the amplitude of the current measured by the three remote CTs. Linearity accuracy is 1% either way from 10 percent to 130 percent of rated current. The operating and measurement frequency of the SCT-125M is 60 Hz (50 Hz upon request for Europe and other regions) with a range of 10 meters. While each wireless CT needs no external power, the controller requires 120 or 240 volts AC. On a bare conductor, each CT has a maximum voltage of 600 V and an operating temperature between minus 30 and plus 60 degrees Celsius. 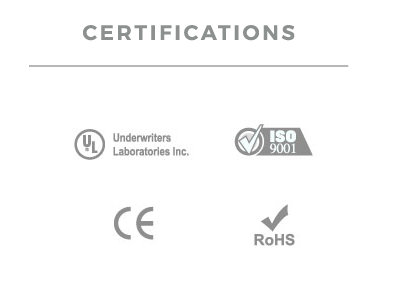 UL recognition is pending, and the device is compliant with CE and RoHS standards. Finally, it comes with a 7 year warranty. Physical RJ45 jack is provided for setup, but not for normal operation.